Message from your Mother is a series of letters written by Lilly to her daughter. They are often written in the kind of irrational way that sometimes comes naturally to mothers when communicating with their children (no matter how old they happen to be). You will always find a hidden message if you look hard enough. And I hope you're sitting down. It seems I've led you astray. This time it's about your eye colour. And my eye colour. Apparently, there is no such thing as a 'green eyed girl'. Even Cold Play got it wrong. Who'd have thought that I could be so misled? We don't have green eyes. There is no such thing. I took a picture this morning to show you. My eyes are not green, they are a shade you have not even heard of. They're Mixed. By the way, if you're wondering if I've suddenly developed Michael Jackson's skin condition, that stuff on my face is a mask - I'm multi-tasking. It's actually the Extra Extra Extra firming mask that some little witch at the makeup counter strongly suggested I was desperately in need of. All I can say is my face does look firmer but you can only see the benefits when the mask has dried like concrete and you can't move a muscle. Once it's off, my skin goes back to its usual pliable state. I guess fleeting beauty, even if it comes wrapped in clay, is all I can hope for at this point. Anyway, back to our eyes. I went to an iridologist. You know those gurus who look into your eyes and identify any signs of disease. She stared into my eyes for what seemed like ages. It was extremely disconcerting. After a few umms and ahhs, she said, "Ah biliary, how interesting." "Oh God," I cried, "tell me that's not some new age disease and it's just French for green eyes". She laughed, just as you'd expect a blue eyed person to do in such circumstances. "That's the term we give to mixed eyes", she said. "Green irises don't really exist as the green appearance of the iris is usually due to discolouration or yellow patches in a blue iris. There are only blue or brown irises." "Oh, I see" I said, looking decidedly dejected. "Is that because RNA can function as both a gene and an enzyme, and RNA comes before DNA and protein and acted as the ancestral molecule of life?" Well OK, you know I didn't say that but I would have said something equally as smart if I hadn't been so shocked. All I could manage was, "Are you out of your mind? What do you mean there are no green eyes? It's like being told very late in life that you're adopted. Suddenly everything you know to be true, no longer is." So, as strange as it may seem, our eyes are what's called in the trade, as MIXED. Not blue, not brown. Not one thing or the other. We are a no frills, no name brand. Or in Obama's words, we are muts. It makes sense. What colour do you get when you mix blue and yellow? Yes, green. We are a minority. Only two percent of the world's population has green eyes. As an aside, if you ever feel the need to reach out for support, apparently Hungary has the highest percentage of green eyed people in the world. Not many people realise this but green eyed owners are treated like second class citizens at times. I've known this for a while given I've painted makeup on people's faces for magazines and film. Media discriminates against green eyes in highly deceitful ways. Did you know that green eyed models and Hollywood stars get their eyes photo shopped to blue when they appear in magazines? Take a look some time. Kate Hudson has green eyes, as does Christina Applegate and a whole load of other stars, so why are they always blue in magazines? Now I have been enlightened I think I'll tell people that I have mixed green eyes. It sounds exotic. In fact, the more I think of it, now is the right time to be mixed wouldnt you say? I can feel the change coming. One day soon, we might even get our green irises acknowledged on the iridology chart and on magazine covers. We might even get to be on an equal footing to our blue and brown eyed brothers and sisters instead of having to decide if we are more like one or the other. Perhaps I might even start wearing those green contact lenses again. You know, the ones that make me look like I'm from Mars and which cause people to stop, stare and point. I think the world is so ready to formally acknowledge green irises! Mixed as they may be. Don't you? And on that note, I encourage you all to read a really beautiful post, called I have a Dream, at Sandi's blog. It's about her beautiful mixed family of 14 children. Tell me, what colour are your eyes? Thanks for the link! You are too sweet! BTW, your daughters eyes are gorgeous! What a fun, great post! Love the music and all the multi-tasking! I knew you were a clever gal! My eyes are hazel as are my youngest son's eyes, the other three have varying shades of brown. They also all sunburn easily, and that's interesting since their father is black -- but then his heritage was as mixed up as most other peoples. But you know what? as a friend of mine use to say, we all put our pants on the same way, one leg at a time! Thanks for the evening fun -- as always! I never knew this! I'm truly amazed! I love this series, and I would kill for green eyes. Off to read Sandi's post. This was very, very clever and I hope people SEE it. Mine are blue by the way, the ones that get the asthma and stuff, I clicked the link it was very intersting. Oooh love Cold Play too and that's my favourite. I wonder whether Gwynnie Paltrow has got green eyes too? Kate Hudson ALWAYS has blue eyes in magazines. Freaky, imagine what else they photoshop then. Love the song. And I have dull brown eyes, not beautifully mixed gorgeous eyes that look a "loverly" shade of green. Such interesting things to ponder. Just looked it up on your link and hazel is under the mixed category too. So, I'm in the same boat. Weird about the blood sugar issues they say we face because that's totally me. @ Sandi - yes she is, as all yours are too. Thanks for some inspiration today with your post! @ Muse - yes it is fascinating actually and whats even better are the links between health and eye colour. Quite extraordinary. @ Sylvia - I just found it surprising that its all so black and white. Blue or brown. Well thats old hat. We are many colours, shapes, sizes etc. We are just different. I bet you also have a beautiful family. I know one of your daghters is! Obama is going to change lots of things I think! @ Tabitha - yes my dear you are so safe but check out the link and see if you agree with the health issues they identify that brown eyed people can have. I certainly agree with the mixed eye health issues. @ Annes Rants - thanks for dropping by! @ Sarah - thanks you always SEE, I know this to be true. @ Joanie - you are too funny!! @ Gran - I'm happy with no colour eyes, thanks. Mixed as they are lol!! @ Alyson - well that's interesting - I found the health issues interesting too when it came to me and blood sugar levels. I like preventative health programs and I like to see how our diet also relates. This was quite an interesting site I thought and full of food for thought. You've got such beautiful eyes and eye color. Your daughter is lucky to have inherited them. I used to always be so envious of people who could have something other than the brown that everybody around me had. How lucky to have emerald eyes! My eyes are mixed green also!! We REALLY ARE sisters! Um, same colur as yours! Mixed ehh, You know I have noticed most people with green eyes have hints of yellow radiating out around the permitted of the iris. I told a few of them about it, and they said I must be seeing things. I guess I wasn't after all. Lilly, i keep reading your comments elsewhere and they are always so thoughtful, do delightful or real or tender. You add a lot to the blog word. As for m Jackson...i can';t even think about him-- he wigs me out that much! @ Kay - yep mixed eyes rock Kay! LOL In fact all eyes do, just shame we all didn't see the same things though! In time, I am sure better times are coming! @ Loving Annie - fabulous another mixer!! @ Rhonda - and yes you are my 'sister' and you better be coming to Sudney to play soccer even if you have to come by row boat LOL! @ Leslie - woo hoo another mixer. We are taking over blogland I tell you! @ SoulMerlin - awww, thank you my friend. I am guessing you have blue eyes. You are pretty amazing yourself!! Notice the green emphasis - it's a bit meaningful in terms of chakras hey? At least you dont have one blue and one brown eye.... be thankful. When born, my eyes were ink black. As I grew, they emerged from a deep chocolate brown and by the time I was much older, when I was in labour and husband said they were now baby poo brown. Nice. 12 years later, they are greeny brown. So my brown pigment is turning yellow? Weird. My eyes are dark brown. I remember hearing this some time ago that there is no such thing as green eyes and they were as a result of diet or some nonsense. It is like hair colour I guess. Black, white and everything in between. I always thought they were green too. So I guess I am mixed! I have light brown eyes that are greeny when I've been crying or if I've been unwell. My oldest daughter had brown eyes as a child, now they're more green. I read in a health book once that the yellow overtones that turn blue eyes green and brown eyes hazel are due to a liver imbalance (think jaundice)or some other type of deficiency. made sense to me as I've noticed that the more well I feel, the browner my eyes are. But I'd guess there are many other reasons for green eyes. There can't possibly be that many ill people. @ Eric - well see how smart you are, it is fading or yellow. Apparently our eyes can lose pigment if we are in the sun a lot and do not have our eyes protected. @ Mmmm - thank you, you leave some thoughtful posts around the blog world yourself!! And on mine too. I appreciate it so. Its a great community. @ Dee - yes there is a name for that too, two different coloured eyes. I find it fascinating given our eyes are meant to be the windows to the soul. @ Rhubarbwhine - that is really interesting isnt it? It makes you wonder whether diet is involved in all of this too. I am going to research some more I think. Thanks for dropping by. @ Vanoffi and River - I have heard this too and I am going to look at this. I did read about a person who had cancer and green eyes. She went on a very strick diet and her eyes turned blue. Maybe there is something in it. I am going to invetigate further. Thanks for the comments. @ Caroline - it looks as though we have more green eyed people reading this blog it seems. Thanks for stopping by. Oh wow. Coldplay let me down? I'm devastated! My eyes are blue-grey. Depending on what color I'm wearing. I'm a mutt too! Lilly... I’ve always been a fan of green eyes and fingers crossed maybe one of our children might have green eyes as Joel (hubby)has a hint of green in his... (lol). p.s. Thanks for the link to Sandi’s blog... what a beautiful family... full of life and oozing with laughter, energy and love. Hats off to that couple raising fourteen kids (wow)! Lilly I SO enjoy these "Message from your Mother" posts. This post reminded me of Jane Elliott’s "Blue Eyes/Brown Eyes" exercise she gave to her 3rd grade pupils back in 1968. It was so insightful. My eye colour is blue which brings the Crystal Gayle song to mind, "Don't it make your brown eyes blue". Thanks also for the link to Sandi's blog. You are a very sweet soul linking different bloggers to your posts. PS Cold Play are a top band, love their latest CD. I've got mixed eyes ,too. Although I like to call them green. Wow! I happen to love green eyes. I've always wanted a pair, you know? I even write them in my novel. Only, I use the term emerald. It sounds more exotic, beautiful, and captivating than green, don't you agree? Oh, you have to send me a picture of you and your daughter that I can clearly see your emerald eyes. If there's no such thing as green, just use the term emerald eyes then. Hee, hee. Your post is just as funny as the others. @ Tara - well it would appear that we have a lot of mutts blogging. Thanks for dropping by! @ Cath M - well you just may get your green eyed babies too. Fingers crossed. Yes, Sandi is something else! @ Peggy - thanks for your feedback. Yes how many songs are there about blue eyes? I used to love an Elton John song called Blue Eyes. I must check that Jane Elliott exercise out again. I appreciate you stopping by. I was listening to your music for at least half an hour. Thanks! @ Vodka Mom - ah yes, shame is now you know, you really know that theres no such thing...mind you seems like we are just about all green eyed..
@ Tasha - I will have to dig one out for you. OK so I need to go back and check if you have updated your Big Novel again. Emerald eyes mmm thats more my daughter's colour than mine. Mine really are light green. Or lightly mixed should I say. I hate my green eyes. They look like they belong on a cat (in a cat?). Whatevs. Do you remember that my eyes were very very blue until I was in third grade? I would like my eyes not to be mixed or whatever but to pick a colour and stick with it. PS I can't believe you put a photo up of you with a face mask on. Have you gone senile? PPS I have a theory about the changing the colour of eyes in pictures...my eyes almost always pick up the red in photos. Do you think it's hard to take a picture of green eyes maybe without throwing red? PPPS I bought a 10 day fast and detox kit today. Apparently it makes you moody and angry but will probably turn me into gwyneth paltrow (but with blue eyes maybe). Can I chronicle the experience on your blog? PPPPS Don't forget my birthday. Also, I looked at Sandi's post - how amazing! Your family is beautiful Sandi. lol,,,i loved your comment about the face mask..i swear there are to many of us ladies out there running for anything antiaging! I dont know a thing about eyes..not a thing. I have Brown..I dont like them-i find them very hard to decorate..if thats the proper word. Damn those eye doctors. Keep saying you have green eyes Lilly. They're beautiful eyes. Mixed...whatever. The average everyday person is going to look at you and think, "God, she's got fantastic green eyes." I've got blue. I'm a typical Minnesotan Scandanavian. We're all blond and blue eyed. Though each member of my family has different variations. Oh Lilly...what a fun and enlightening post!! :) That's it...you did it...you made me laugh and smile. Thank you! PS Love the music, too. Lilly, since you sais only two per cent have green eyes, I am sure a lot of the folks looking aat you would be green with envy. Finally, whatever colour, what one sees is of utmost importance. an iridologist of all things! how interesting. well, you have gorgeous green eyes, lucky you. That was very interesting, Lilly. Apparently, my eyes are mixed too. Both of my parents and both my brothers also have this color previously referred to as green eyes. Not one of the grandchildren have green eyes though. My kids all have brown. I was hoping just one of them would get my green eyes, but no. Well this was totally fascinating! I think or thought my eyes were blue .. but now I'm not certain! @ Dawnie - I know its pathetic is it not? When we are young we cant wait to get older. Then when we finally realise we are older, YIKES, we cant wait to turn back the clock. Nothing really works but we have fun trying! @ Tami - nice to see you, yes you do look very Scandanavian. My grandfather was a very blonde, blue eyed German - I still can vividly remember his ice blue eyes. So beautiful. @ Paris - I made you laugh and smile? Fantastic, thats made my day. @ Nsiyer - yes you are so right - its what we see that's important. Strange how everyone can be looking at the same thing and yet we get so many variations of reality. Thanks for dropping by! @ Christine - yes I think alternative medicine is the way to go. @ Summer - well the brown eyes are dominant and so beautiful too. It is kind of interesting although changes nothing really - the diet aspects and health issues related to eye colour is even more interesting I think. @ Helen - well even looking at your picture it seems as though you do have blue eyes. Seems the blue is dominant. Thanks for your comment. I admit it I have brown eyes I am one of the elite. All eyes are lovely regardless of what the iridologst says. I read the link it was interesting. The health aspect is really, really interesting! And spookily true as far as I am concerned. Cold Play is my favourite band. My eyes are blue, I once worked with a true red headed woman that honestly had the prettiest green eyes, not real bright but honest to goodness pretty green. My eyes are mixed too. I never knew all that about eyes. Very interesting. I bet Aliens have real green eyes though. Yep. Definitely. @ Stefan - right you are!! @ Margaret - yes, red hair and blue eyes is sensational that is true. Thanks for dropping by. @ Rhea - seems like everyone is mixed then! Hi Lillyness! Oh, poor little mixed eyed one! It doesn't matter - your pretty eyes are still green in my book! And by the way, I don't get to see pretty green eyes very often!! Green contacts .... I tryed them once in the 80's, and yes, ALIEN is the best perscription. Well, there you go...we have one more thing in common! My eyes are hazel aka green, and one of them is actually half green(on top), half brown on bottom! Thanks for recent visits and lovely encouragement on the book. My brother has green eyes...I so cannot wait to call him a MUTT!!! I'm telling him you told me he was!And whatever color they are...they look gorgeous in the picture! WOW..right up until i read your post i had green eyes. I don't care WHAT the iridologist says. My hubby has beautiful green eyes. I fell in love with those green eyes, so green they shall always be! I have blue eyes but my husband has hazel or should I say mixed eyes. I haven't heard about iris colours before but it is interesting and interesting how colours change over time too. I also believe the eyes are the windows to your health not only your soul. @ Awake in Rochester - thanks - keep smiling, its a great day! @ Shelia - you my dear have the world's prettiest blue, just gorgeous. No, I really do like my eyes I have to say. And appreciate that I get to see out of them too. @ Speedcat Hollydale - oh you big fibber yours are red an dwhite arent they? Hows the golf swing going? @ Jlo - wow - another mixer amongst us. I think they are all reading my blog!! @ Matt - glad one person gets me, LOL!! OK so you are a mixed eye person too. Seem slike we hve a lot of mutts in this world. Not sure where they get the 2% from? @ Nikkicrumpet - well I sure hope your brother is ok with it, lol! Tell him the President calls himself a mutt too - its fashionable. @ Yellowdog Granny - oops sorry to blow your illusions, LOL!!! @ Hippomanic Jen - HA HA, thats sweet, no its ok keep calling them green....just dont let him on the cover of a magazine. Green eyes wont cut it. @ Magee - yes, its true there is lots to learn about the links between our irises and health I think. OK, we have 11 poster who have officially declared themselves to be MUTTS!!!! I have blue eyes! And I've never heard that. Braja, that means you are the 12th mutt to grace these lillys life pages in the last day and a half. It says sosmething kind of special in fact! Hey, are you at your beach resort already? Oh Rachel, that almost sounds artistic I like the sound of that. I bet they are pretty and unusual! You are a mixer that makes 13 of us so far. Huh...I did not know that. My eyes are brown. Just stopped by to wish Des a belated Happy 82nd Birthday! Also, I have a question for Jordan. I've seen some of your recent pictures and you looked fabulous and perfect there, so why, may I ask do you need to get into a fad diet? To me, Gwyneth Paltrow is way too thin. She almost doesn't look healthy. This is just my personal opinion, of course. Please forgive me if my question is inapropriate. Just blame it on my Filipino heritage. Hee, hee. I wish I had green eyes too - but sadly never gonna happen in this lifetime! I think it's really cool and I don't understand why would some celebs need to photoshop it to make it appear blue...green is way cooler! Very interesting. I have blue eyes. My mom was always so proud of my blue eyes. When I was 16, my dad took me to get my driver's license. I asked him to confirm what color my eyes were. My color blind dad said green, so I wrote that down. My mom freaked. hehe I later realized that these blue eyes often seem to change colors, depending on what I am wearing. Even my husband noticed. Weird. I have muddy brownish/green eyes. I also think blue eyes are overrated. :) Either that, or I'm just jealous. I reckon we're almost ready - certainly more ready than we've ever been to let in you green eyed types. It's about time! @ The Blonde Duck - I know strange isnt it? @ Taschabud - aw thanks I will let them both know!! @ Jade - I am not sure why magazines do either - maybe gree is hard to photograph. I will have to follow that one up. @ Teri - how strange is that. My Dad was just telling me a story about how he went to get his licence renewed and the polieman told him he had green eyes. My Dads eyes are about as blue as they can be. Yes and my Mom wanted kids with curly hair, blue eyes and good legs like him. The first child got them and the rest of us didnt HA HA. @ Blue Castle - mmmm interesting your blog name though isnt it? Nah you arent jealous you just realise that its itme for us to have the spotlight a bit. @ June - thanks - I knew you would get it my dear!! Its exciting! Mine shift between green and hazel. @ Jeanne - well I am sorry to burst your bubble but look upon it this way you are just EXTRA SPECIAL now! Hi Lilly ~ Yes, I have dark blue eyes. I've left a comment on the Red Chakra..actually a couple of them..
You are just amazing how many blogs you visit and also your writing...and working on top of it all. What in the world?? 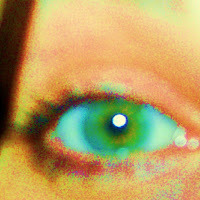 I have green eyes!! Oh my word, what other long lost secrets about my life will come to light today?? My eyes are brown, but my daughter's are green. At least I thought so until just now. @ Soul Merlin - ok will be over to check it out, nah, I kind of allocate time to do it nd really just write quickly. Mmm it may be better if I edited it moreso but what the heck! I dont watch TV either. @ Kate - ah well it seems there are lots of us green eyed people when it comes down to it! @ Vegas Linda Lou - ha ha well it is strange but make sense I guess. @ Lulupinay - Brown is good! Any colour is good it's just funny how they classify them. Thanks for dropping by. @ June - mm cats eyes, I have had people tell me my eyes remind them of their cats - somehow its not a very pleasant thought....thanks for your comment. I have eyes, that are sometimes called hazel, sometimes, green, and most of the time they are called "cats eyes". What you might find interesting is that these eyes are very typical of the specific ancestral coastal community that I come from , and DNA research indicates that ages ago , there was an influx of folks here from the Mediterranean/Iranian/MiddleEastern/Israel region. Besides green eyes, thus being international :-), it is now possible that some of these folks may have sailed over to Australia as well. Remember you feel Itaklian ? Thats why. My grandma, father, and son all have these eyes. So did my father-in-law, and my sister-in-law. @ Ugich - now that is interesting isnt it? Someone called mine cats eyes too. Maybe we are related a long way back he he. As for Des he has the brightest light blue eyes like his German Dad. My Mum has greeny blue eyes though. Oh its all involved is it not! I will pass on my regards to Des thank you - 'not been feeling too well but still well enough to watch cricket or tennis of course!! I have green eyes - We can all stand together - There is enough of us out there - I am sure of it!!! Love the multi-tasking. Awesome pictures. @ Kathleen - no not a green eyed monster lol!! Oh colour blindness - my brother has a touch of that too. @ MindyLew - you are so right I think we have about 15 of us green eyed people who have replied just on this blog. I didn't know that. Thank you for another wonderful post. My colour depends on the mood I am - grin. But obviously mine don't exist either - grey! Well who knew? Thank for setting us straight!